The New York Times is reviewing its report that claimed the San Bernardino shooters openly discussed jihad on social media. The FBI called the report "garbled." The New York Times has "revised" its report about the San Bernardino terrorists' social media use after the director of the FBI dismissed it as inaccurate "garble" -- an episode that could prove to be a major embarrassment for the nation's paper of record. The Times' report, which appeared on the front page of the Sunday edition, claimed that Tashfeen Malik had "talked openly on social media about her views on violent jihad," and that these postings had gone "uncovered" by American law enforcement authorities. The report, which stoked an already fierce national security debate, also seemed to condemn security officials. It called the oversight "surprising," and suggested that "had the authorities found the posts years ago, they might have kept [Malik] out of the country" and thus prevented "the deadliest terrorist attack on American soil since Sept. 11, 2001." On Wednesday, however, FBI Director James Comey told reporters that both Malik and her husband, Syed Farook, never posted publicly on social media about their views. "So far, in this investigation we have found no evidence of posting on social media by either of them at that period in time and thereafter reflecting their commitment to jihad or to martyrdom," Comey said. "I've seen some reporting on that, and that's a garble." Instead, Comey characterized the communication as "direct, private messages," a distinction which undermines the Times report and significantly alters the nature of the debate among lawmakers and presidential candidates over national security. On Thursday night, the Times published a "revised" version of its story along with an editor's note. "Law enforcement officials subsequently told The Times that Ms. Malik communicated with her husband in emails and private messages, and on a dating site. 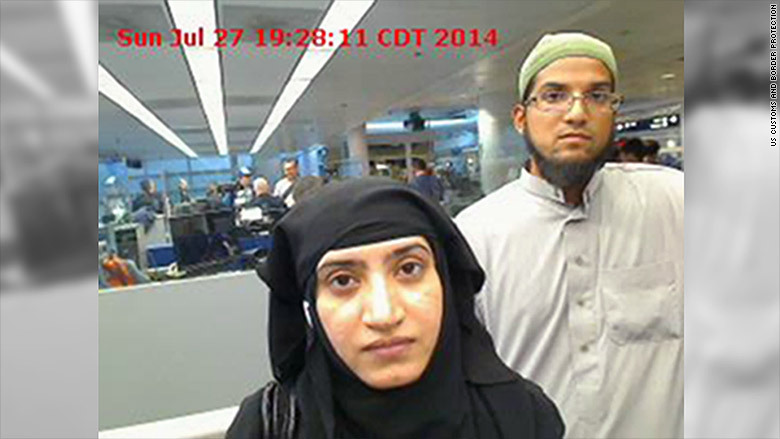 Ms. Malik's comments to Mr. Farook about violent jihad were made on a messaging platform, officials said. Neither Mr. Comey nor other officials identified the specific platforms that were used. (This article and headline have been revised to reflect the new information.)" The new version of the story no longer claimed that Malik had "talked openly on social media" about her views. Several other media outlets also reported on Malik's social media use but were careful to note that the postings had been private. CNN's Evan Perez and Dana Ford reported that the postings were made "with strict privacy settings," while The Los Angeles Times' Richard Serrano referred to "two private messages" sent on Facebook. In the event that Malik's postings about jihad were indeed limited to "direct, private messages," it could be a black mark for the Times -- and particularly for reporters Matt Apuzzo and Michael Schmidt, who were already the subject of controversy earlier this year. In July, Apuzzo and Schmidt authored a report about a potential investigation into Hillary Clinton's State Department email account that wrongly cast Clinton as the target of a potential criminal investigation. In fact, the proposed investigation was a "security" probe, not a "criminal" probe, and did not specifically request an investigation into Clinton. The Times later issued two corrections to that report.